New Delhi (Agencies): Air pollution in New Delhi hit hazardous levels Thursday after a night of free-for-all Diwali fireworks, despite Supreme Court efforts to curb the smog-fuelling partying. 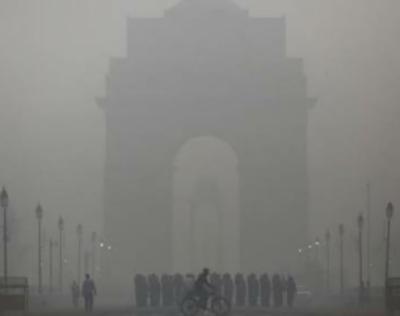 Major monuments including the India Gate and Red Fort were hidden by a toxic haze and commuters donned masks as visibility on major roads was reduced to barely 50 metres. Early morning ambient air quality readings in Delhi - the world's most polluted major city, according to the World Health Organisation - touched 526, according to the US embassy in the city which independently monitors pollution levels.